Ordering with us is simple and safe. All payments made on our website are processed by your choice of PayPal, Stripe (with ApplePay) Or Amazon Pay. We do not store or have access to any of your payment details. After receiving your order we will work on your design as soon as we are able to, this is usually within a week of receiving the order details. When we have created your design, we will send you a draft/proof image over email for you to check over and confirm you are happy with the design. When you have confirmed you are happy with the draft/proof image, your designs will then be finalised and prepared for printing. After the design has been printed, your order will packaged securely and dispatched to you, We will send a dispatch note when the order is complete. To find out the correct turnaround and production times, please visit the product page that you would like and scroll down to see the turnaround times. All of our travel maps can be customised with your own wording, places and special messages. 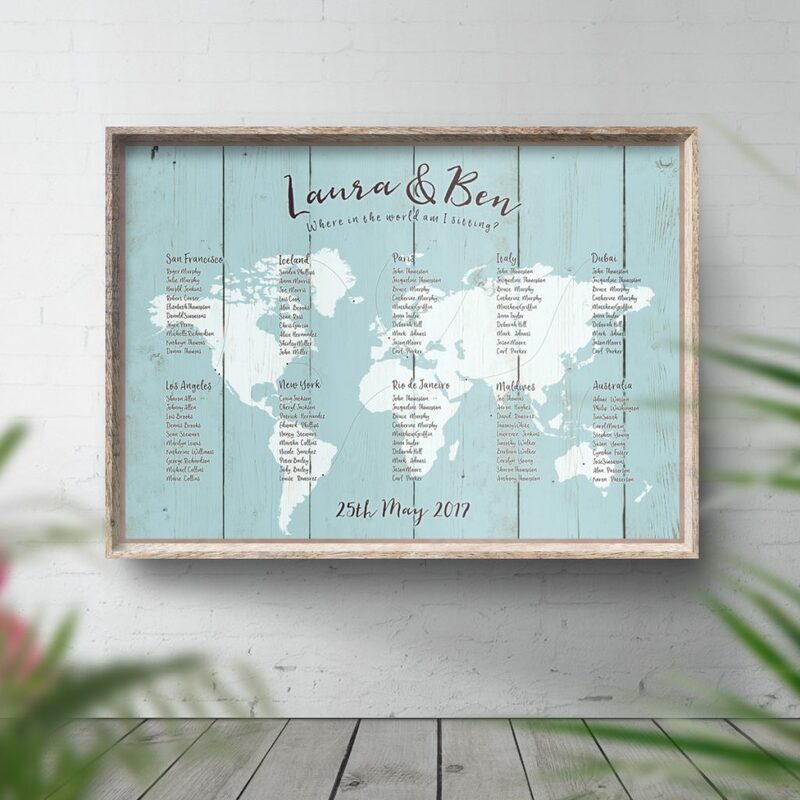 Our maps have become very popular as wedding anniversary gifts, 30th and 40th birthday gifts and gifts for couples that love to travel so they can see all of the places they have been. Our maps are fully customisable and any text seen on the maps can be changed to anything of your choice. We provide some examples of wording on the map products pages but if you need any help or suggestions just get in touch. Some of our map designs include small ‘travel tags’ within the design so that you can include any funny or special memories about your trips. 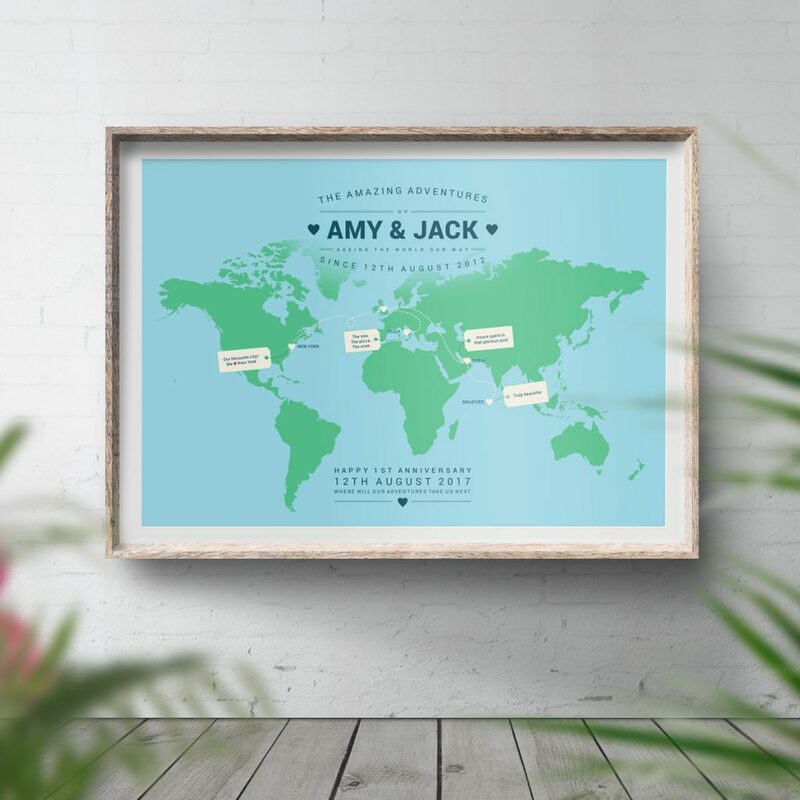 The image shown is our personalised world travel map. 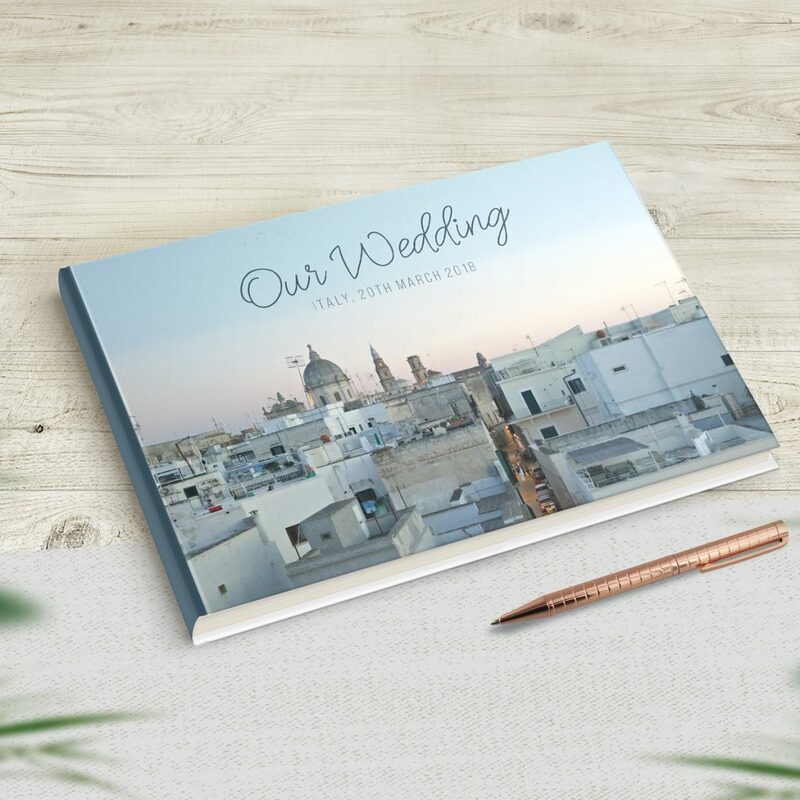 The covers of our travel journals are customised with any text of your choice. 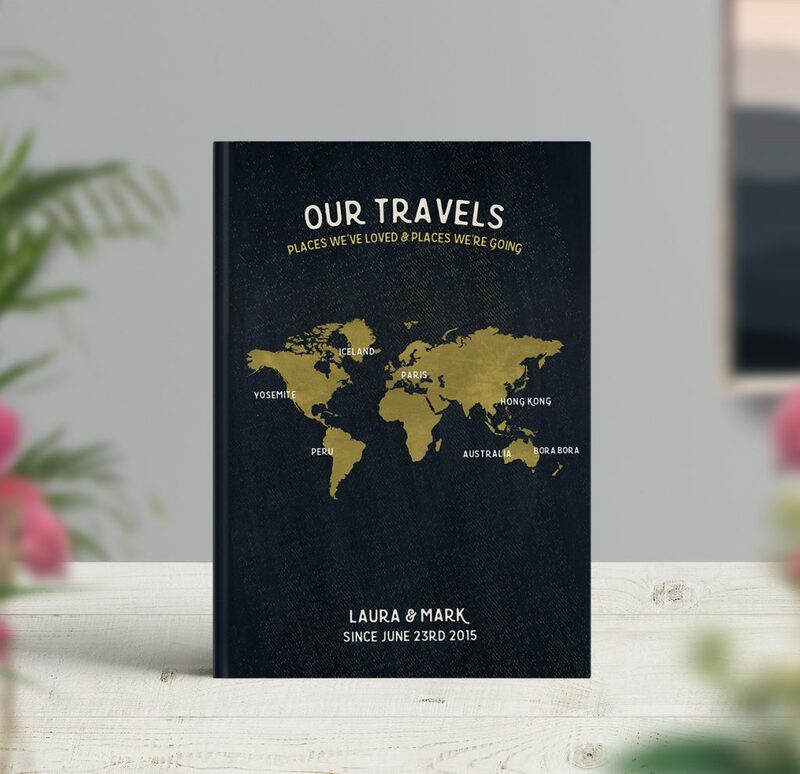 On some of our travel journal designs you can include some of your favourite places on the map on the cover. They are ideal to be used as travel bucket lists and include all of the places you want to go. Our designs can be altered to use font styles from another design, or change the background colour or style. Our wedding stationery designs are fully customisable to include exactly the wording you would like. If there’s anything else you need help with, get in touch and we’ll be happy to help.